Transportation performance metrics are a statement of a community’s values, and should encompass all of the goals of a city’s transportation system. Unfortunately, most cities still focus on intersection Level of Service – peak-hour seconds of delay a car experiences from congestion at an intersection – and ignore most other concerns, such as economic development, social equity, emissions, or the ability of the transportation network to move people and goods. Over the coming year, however, SB 743 will require all California cities to change the way they measure transportation impacts under the California Environmental Quality Act (CEQA). There is a growing recognition that LOS is too narrow a measure of a project’s true impact on mobility networks, ignoring effects on non-auto modes and leading to mitigations that degrade transit service and decrease the safety and comfort of bicyclists and pedestrians. New guidance from the state Office of Planning and Research will direct lead agencies to replace LOS with a new metric, likely per capital Vehicle Miles Traveled, beginning as early as next year. 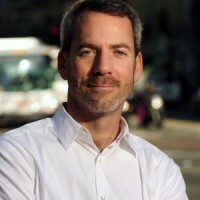 Jeffrey Tumlin has played a key role in shaping California’s guidance, and is now working with several cities to adopt new metrics. Fred Dock led the adoption and implementation of new metrics in Pasadena, the first city in the state to match its transportation metrics to its larger policy goals. They will walk participants through the benefits and challenges of the change, how different transportation metrics might be ideally used in the full scope of transportation planning at the local level, and steps cities will need to take to comply with the new statewide guidelines. The session will conclude with a hands-on exercise translating policy goals into objectives, identifying metrics for each objective, and establishing an evaluation framework for predicting outcomes from new development, and analyzing the degree to which the transportation system supports a city’s values.